Ai Weiwei, the artistic consultant who helped design Beijing Olympics Stadium has been put under House Arrest. Ai Weiwei had been active denouncing the corruption scandals that led to shoddy constructed schools in Sichaun. Due to their poor designs and the use of cheap building materials, the schools collapsed during the 2008 Sichuan earthquake killing thousands of schoolchildren. Apparently, this is not what led to his arrest. According to an article in the New York Times he was arrested because of incoming publicity about corruption in Shanghai involving political figures. 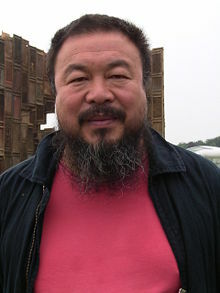 Ai Weiwei kept an active blog, one of the few open blogs which Chinese authorities tolerated. Maybe Shanghai's local bosses thought that China had become too liberal.